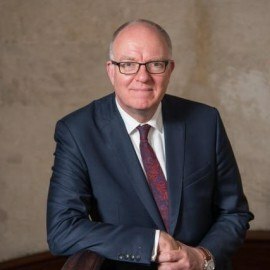 Richard Ovenden is Bodley’s Librarian, the 25th person to hold the senior executive position in the library of the University of Oxford. Since 1987 he has worked in a number of important archives and libraries, including the House of Lords Library, the National Library of Scotland (as a Curator of Rare Books) and in the University of Edinburgh, where he was Director of Collections. BURNING THE BOOKS: A HISTORY OF THE DELIBERATE DESTRUCTION OF KNOWLEDGE will be published by John Murray in 2020.